The unpredictable weather of Texas is actually quite predictable: We know storms regularly target our great state. From hurricanes and tropical storms to tornados, hail storms, and wildfires, Woodlands� roofing needs often challenge local roofers to the point where there�s simply too much work to be done in a short time period. After catastrophic storms unleash their fury on Woodlands, roofing companies from outside the area often sweep in to help with repairs. If the damage is widespread, contact us as soon as possible because we book up fast. As a local roofing company with established roots in the community, you can count on us to be here for you long after the work is done. Our warranty is always honored whereas out-of-state roofers may be here today, gone tomorrow. Your home or commercial building needs a secure roof that serves its function, has a long life, and looks good. We can handle that. You need a roofing company that will treat you with respect, provide you with an honest estimate, and keep you informed of progress. We can handle that, too. In fact, we pride ourselves on honesty, integrity, and workmanship. We are happy to share local references or invite you to current jobsites so that you can see for yourself. 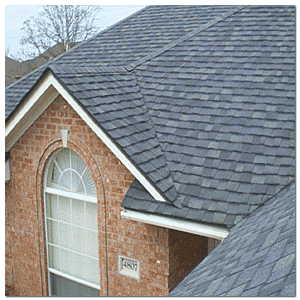 "New to the Woodlands, I wasn't sure who to call for my leaky roof. Woodlands Roofing was my first call and were here, fixing my roof within a few hours! I was pleased with the quality of service, will recommend to all my new friends." "After the last storm that hit the Woodlands, my roof started leaking and I needed a quick repair, calling Woodlands Roofing Contractors was the best thing I could of done, they were here repairing the leaks the very same day!-Thank you Woodlands Roofing Contractors, I couldn't be more pleased."